In the waters of baptism, we are lovingly adopted by God into God’s family, which we call the Church, and given God’s own life to share and reminded that nothing can separate us from God’s love in Christ. 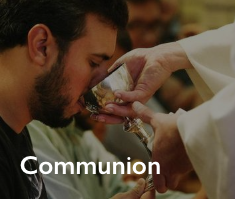 Holy Baptism, which can be performed through pouring of water or immersion in it, marks a formal entrance to the congregation and wider Church; the candidates for the sacrament make a series of vows, including an affirmation of the Baptismal Covenant, and are baptized in the Name of the Father, Son, and Holy Spirit. They are marked as Christ’s own for ever, having “clothed [themselves] with Christ” (Galatians 3:27). 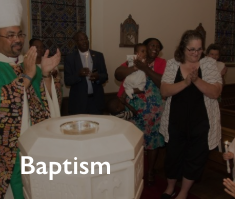 All people of any age are welcome to baptized; we believe in one baptism for the forgiveness of sins, as the “bond which God establishes in Baptism is indissoluble” (Book of Common Prayer, p. 298).